Andy earned his Bachelor of Science Degrees in Sociology and Psychology from Central State University in Edmond, Oklahoma. He went on to earn his Masters of Divinity from Southwestern Baptist Theological Seminary in Ft. Worth, Texas. 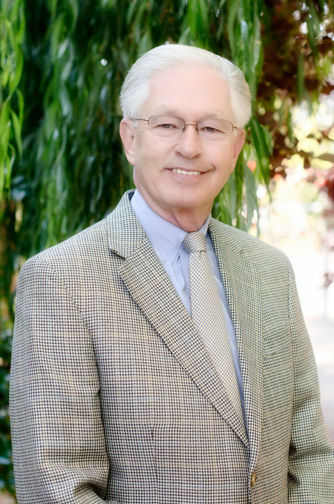 Andy served as Senior Pastor of First Baptist Church of Grass Valley, CA from 1980 to 1990. He then went on to hold the position of General Manager and Vice President of Hooper & Weaver Mortuary, Inc. from 1990 to 2011. Currently Andy is the head statistician for the Nevada Union High School Varsity and Junior Varsity football teams, and has been since 1980. Andy currently serves on the board of directors for the Nevada County Habitat for Humanity. He also serves as the head of the organizing committee for the Nevada County Leadership Prayer Breakfast. In the past, he has served as a board member, as well as President of Hospice of the Foothills, member of the Bio Ethics committee of Sierra Nevada Memorial Hospital, committee for the California Highway Patrol "Every-Fifteen Minutes Program" and the Executive Board of the California Southern Baptist Convention. Andy is the proud father of 2 grown children and grandfather of four grandchildren. Andy focuses his attention now to the financial and administrative operations of Owens Estate and Wealth Strategies Group as Chief Financial Officer and Director of Operations. He oversees all human resources, operational management and financial accounting. Andy enjoys gardening, golf, duck hunting, Oklahoma Sooner's football, Nevada Union football, and traveling with Mary. He has made Nevada County his home since 1980.